Overwatch game director Jeff Kaplan confirmed Wednesday night a new Soldier 24 skin for Reaper as part of the upcoming Overwatch Retribution event. Kaplan confirmed the new skin ​during a reveal that took place during Wednesday night's Overwatch League broadcast. That came on the dame day as Soldier 24 appeared in the new ​Overwatch digital comic titled "Retribution." The Reaper skin will feature Gabriel Reyes as part of the super soldier program, when he was known as Soldier: 24. The Retribution digital comic sets the stage for the Blackwatch brawl focused event where Reyes and his Blackwatch team take on Antonio, the person behind the attack in Oslo, Norway. The event is meant to define the members of Blackwatch, with​ Reyes being the focal point of the story. Moira will also be getting a Blackwatch skin in the Retribution event. 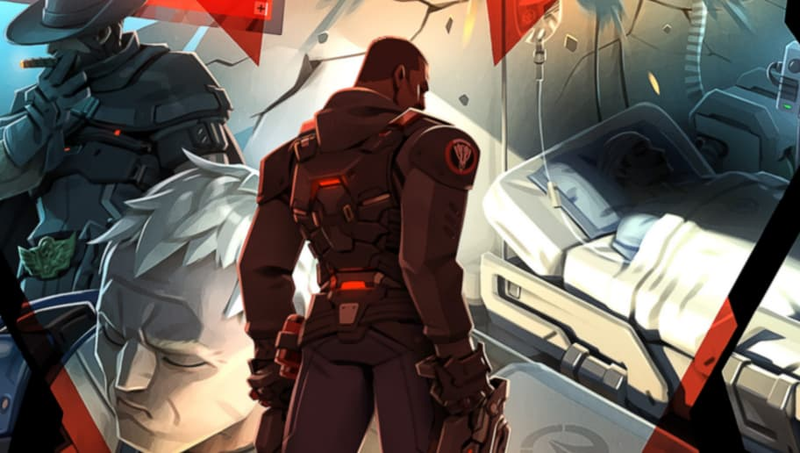 The skin was​ brought to the attention of Overwatch fans in the Retribution comic. Blizzard announced through a teaser Overwatch Uprising would return for a second year. It released another teaser last week, and they included hints have made it seem that this year's event might have a Blackwatch theme -- which they definitely should!